My name’s Chris and I will be cycling from Alaska to Argentina to raise money for my sister’s charity. I will be flying back to the UK from South Korea for ten days before I head to Alaska to start my quest to cycle nearly 20,000 miles. My aim is to raise $1 for every one of those miles. Every dollar raised will go straight to ‘Wishes 4 Kids’ as this trip will be entirely self funded. 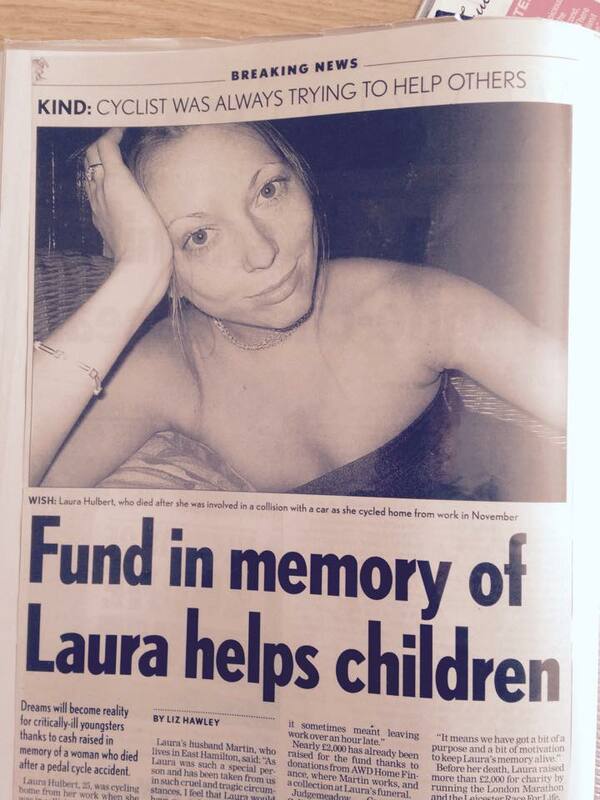 ‘The Laura Hulbert Fund for Wishes 4 Kids’ was set up in my sisters name, following her death in November 2004. I’ll be leaving around a month from the 11th anniversary of when our sister was taken from us. In November 2004, she was hit by a dangerous driver whilst riding her bike, and later died on the way to hospital. Her memory lives strong in all of her family and friends and is the inspiration for me undertaking this mammoth journey. A charity close to Laura’s heart were kind enough to set up a fund in Laura’s name, ‘The Laura Hulbert Fund for Wishes 4 Kids’. The memory of our beautiful sister has been the catalyst for me taking to the road, in what will not be an easy next 9 – 11 months. I will be attempting this feat solo and the training has already begun. I started at the beginning of February this year with a punishing ten week schedule for the Samcheok Half Marathon, to get me in good shape for the coming months on the bike. I am always keen to push myself to the limits, and set about for an optimistic time within the 1 hr 20’s for my first ever half marathon. I came in 5 minutes under the 1 hr 30 barrier at 1hr 25 and it was safe to say I knew my marathon running sister would have been proud. These next 4 months will gradually see me increase the mileage on the bike from my current schedule of 100-150 miles a week to over 200 soon. Korea’s rolling hills and mountains are a perfect place to train for the months ahead. 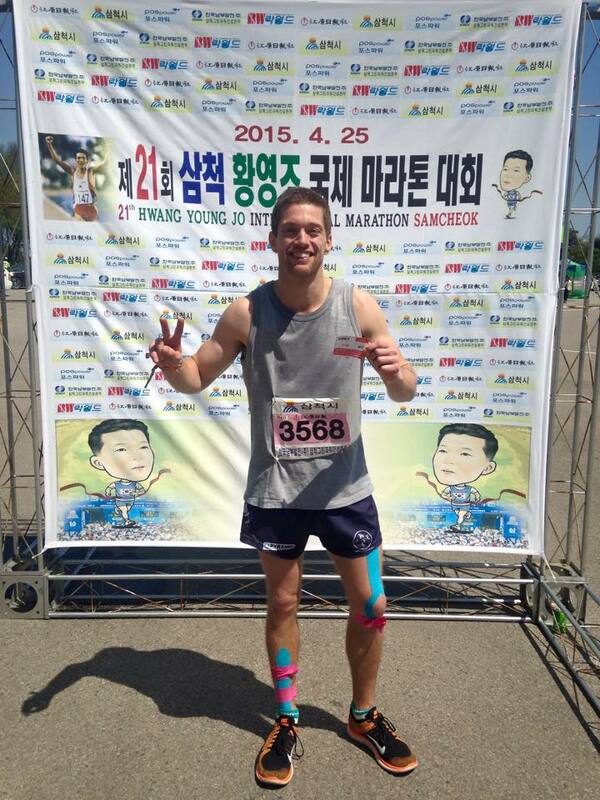 After the Samcheok Half Marathon. This journey will be a long and punishing one. I will see beautiful landscapes and experience amazing things along the way, however I am under no illusion of how tough this will be, especially being on my own. Alaska in October can drop to -20 and receive good dumps of snow…not to mention dodging Winnie the Pooh and other wild life! Head winds which can blow you off your feet will greet me in the barren stretches of desert found in North America and further down into South America. I will be following the Rockies and the Andes too, so hill climbs up to 40 miles long on some days are not going to be enjoyable. Then finally there’s all that time alone, with potentially a few days where I won’t see anybody at all! Laura left a life-long impression on anyone she met. Her love for traveling is the reason I’ve spent the last 5 years exploring the world. Her positivity and love for life was infectious, and I see her in all of my family. My mother has taken to traveling in later life and my brother Rob took up cycling after Laura’s passing and has risen a huge amount of money in her name ever since. Now it’s my turn to take up where she left off and raise money for a great cause. Wishes 4 kids helps children overcome illnesses and, in the worst cases, offers them joy and happiness in their final days of a life taken from them too early. Laura enjoyed life to the fullest and was far too young at 25 to have that experience cut short. For children, the injustice of a life barely started is even more reason to make their final days the happiest they can be. Laura and the charity set up in her name. You can put your trust in me that I won’t fail, because Laura taught me how to push myself through anything. Please give what you can and sponsor a mile today. All the preparation beforehand is leading up to this date and the start of a mammoth journey to cycle 20,000 miles for an incredible cause.